Today Washington became the second state in the US to begin sales of marijuana for recreational use. Granted, it began with a sputtering start – only a few licensed places around the state began sales today, with limited supplies. In addition, licensed growers have not had time to bring in a full crop of product that is “certified” for sale in the state. Ironically, many news reporters today that interviewed those purchasing the marijuana said the reason they were there was to acquire marijuana for purchase. Many noted that they could already do that – just today they could do it legally. Another irony of our drug prohibition is that making something prohibited has little to no effect on whether or not it is available for purchase on the black market. All it does is make criminals out of people for their personal decisions. This is movement in the right direction. Regulating peoples personal habits has seen dismal results in the United States. Take the case study of prohibition. During prohibition use of alcohol increased. Possessing marijuana and consuming it at home has been completely legal in Washington for almost two years, since voters passed Initiative 502 in 2012, and local law enforcement agencies had mostly backed off even before that. It has not, however, been legal to sell it for recreational purposes until now. For now, the illegal market still has most of the benefits, non-licensed marijuana is cheaper and more convenient, and with its high state taxes, 25 percent on every purchase. But this is just the beginning. Once the market has stabilized it will become cheaper, just as in Colorado. 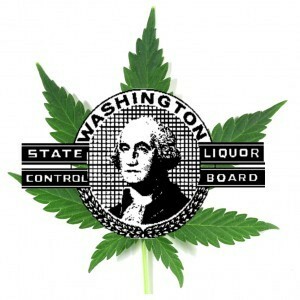 So far, the Washington State Liquor Control Board, which regulates recreational marijuana, has said that 24 of the 334 licensed dispenseries have opened so far. Voters in Colorado approved marijuana legalization at the same time that Washington did in 2012, but then went down a much different regulatory path that moved much faster, with stores open since January. Colorado also created the first recreational marijuana shops from the medical marijuana dispensaries that were already in business, so many of the first wave of operators were already in the marijuana trade. Washington, by contrast, started from scratch, throwing open the application process and giving medical marijuana dispensary operators no edge in the competition for licenses. Hopefully this will be the catalyst for a greater movement nationwide. But tokers be patient, this will likely be a long road. It will also very likely be a state by state battle unless the Supreme Court takes up the issue. With the social conservative legislatures in many states, and the social conservative dominance on the Supreme Court, this is likely just to be the starting point that we can look back on way down the road as a day that Americans began the process of getting back the personal freedom to do with their own body and mind as they see fit, so long as they do not hurt someone else.